In mid to late Summer, there is an abundance of natural food available. Wild plants have been growing all summer and are now getting ready for winter by making seed. With all the food available to them now, your birds are not motivated to learn something new. 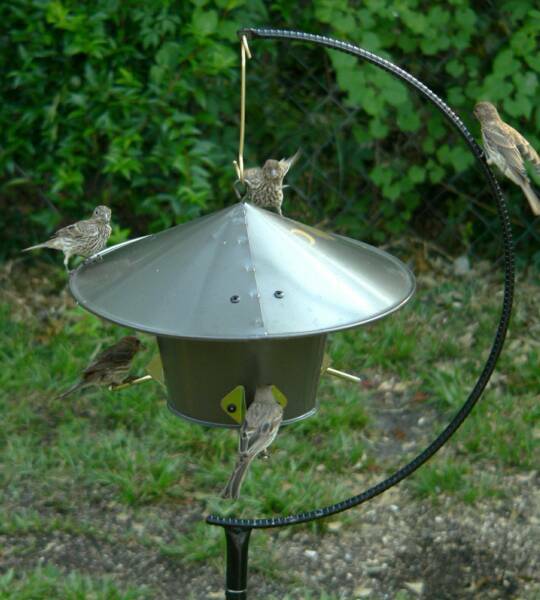 As winter approaches and natural food diminishes, they will find your new feeder more quickly. It can take up to to 3 weeks for birds to learn to eat from new feeders. 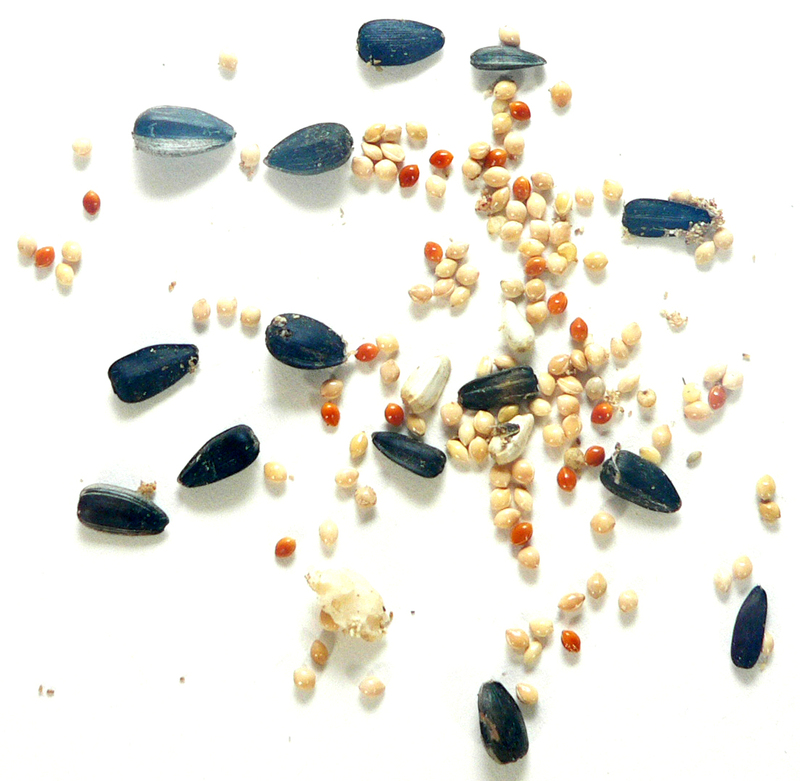 If you purchased our seed saver tray with your feeder, keep some seed sprinkled on it. This will help the birds find it more quickly. If you didn't, you might consider one. The tray not only helps birds find the feeder, it will attract more species of birds and increase the overall activity. Birds like cover to hide from predators. Place your feeder 5 to 10 feet from a tree or shrub. If squirrels are jumping to your feeder from the tree, you can move it to around 12 feet away. We have had customers move a feeder just a few feet closer to cover to get birds. Birds find their food by sight. 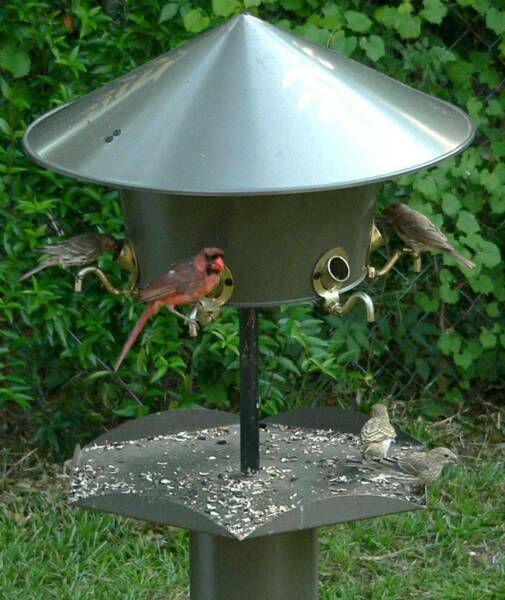 Make sure your feeder is placed in a location where it is visible from multiple directions. Birds can fly into windows and hurt themselves, so beware of placing your feeder too close to a glass door or window. Take a small twig and rake seed to the edge of the food port, making it more visible. Make sure to remove any trash that might prevent seed from flowing into the food port as it should. 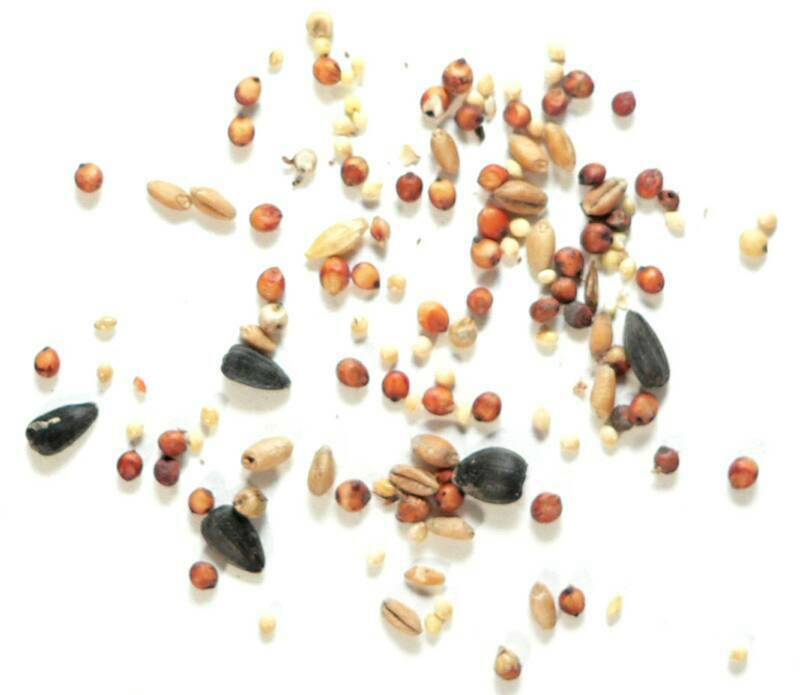 Father Nature feeders work better with quality seed mixes - that do not contain Milo, a BB colored round seed that will go uneaten. Seed mixes containing too much Milo will not feed properly and should be avoided. Birds will eat the good seed from the food port, leaving the Milo. Other birds come along and see the Milo left in the food port and move on, not knowing there is good seed under the bad. If you use these seed mixes, we advise periodically raking the Milo out of the food ports. The illustrations points out good seed mix and bad. We recommend a simple mix of millet and black oil sunflower seed in the feeder; as well scratch feed (cracked corn) thrown on the ground for doves, grackles, red-winged black birds and squirrels. To much Milo (BB colored round seed), not enough Sunflower. It can take several weeks for birds to find a new feeder in your yard. Because Father Nature feeders protect the seed so well, it can take a little longer. Once they find it and begin eating regularly, you will enjoy bird feeding without the labor and waste you're used to with other feeders. 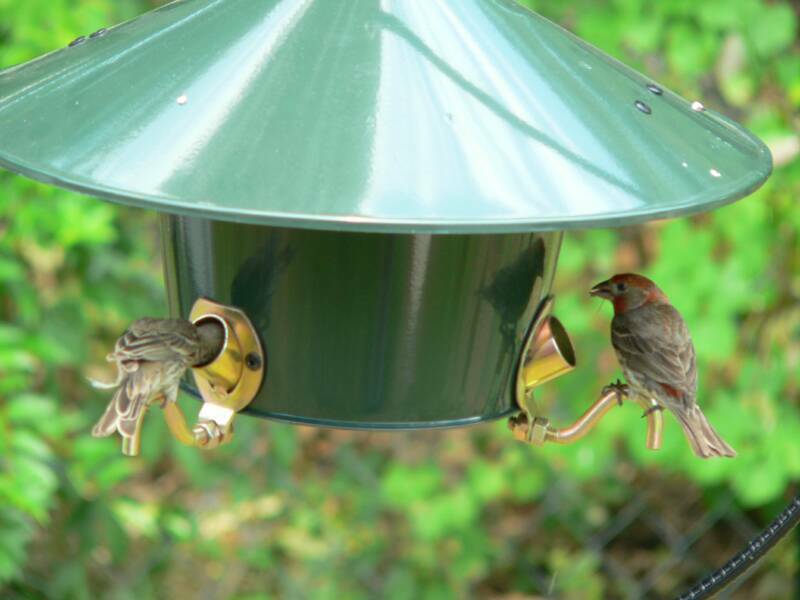 One happy customer from Lexington, South Carolina says," It's so easy, I can open the feeder with one hand, pour in the seed and close it with the other. Two weeks later, I do it again. It takes less than one minute a month to keep my feeder full, I love it!". 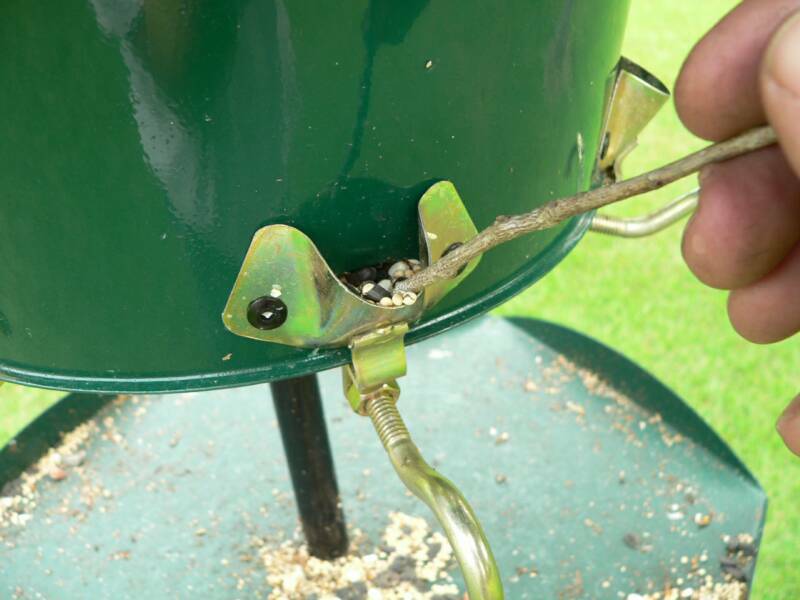 Below are some tips to help you get birds to your new feeder.